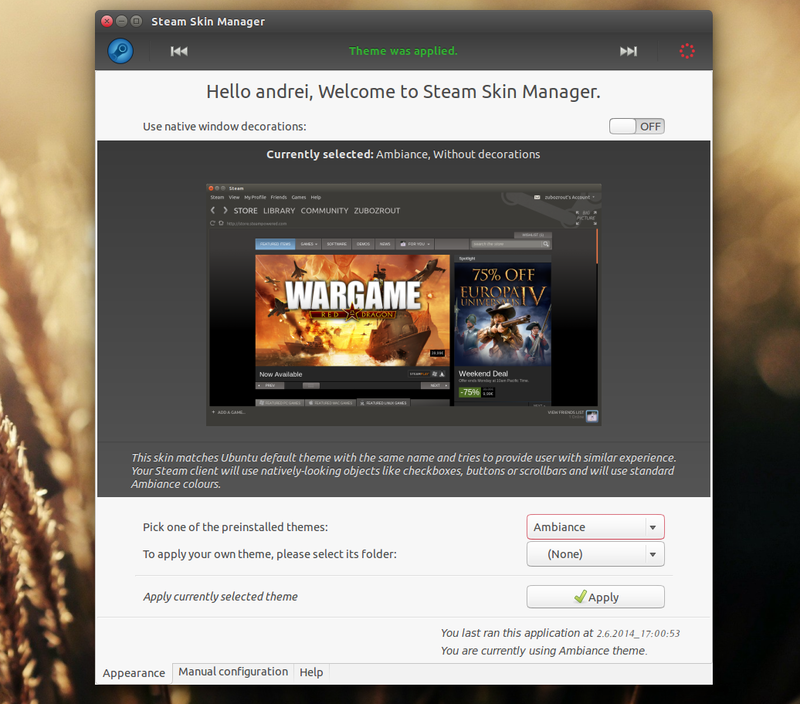 Steam Skin Manager is a tool developed by +Martin Kozub for changing the Steam for Linux appearance. The app comes with 4 skins by default: Ambiance, Radiance, Light and Blue and it also lets you easily add more themes. 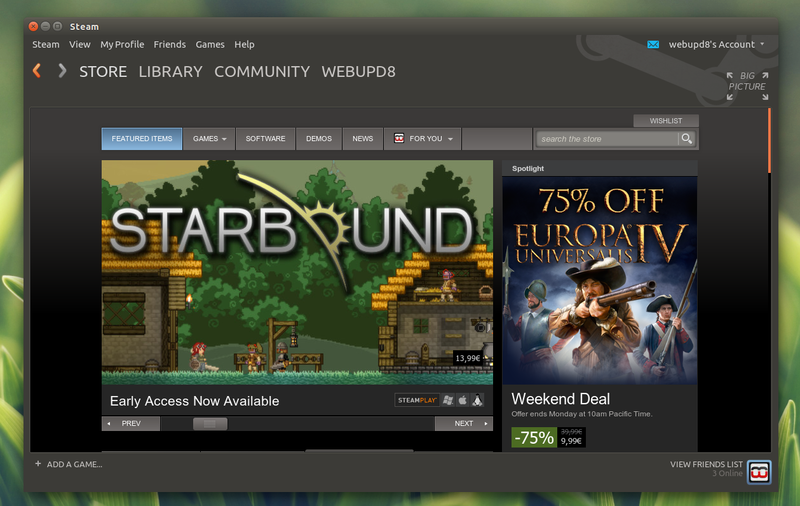 As you can see, using this skin, Steam for Linux uses the same colors as the default Ubuntu theme, similar scrollbars, icons, etc. 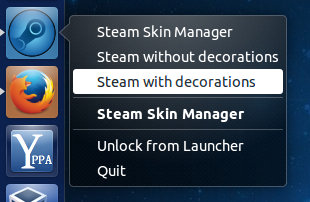 Using Steam Skin Manager is pretty easy: close Steam and then simply launch the Steam Skin Manager, select one of the built-in themes and click Apply. 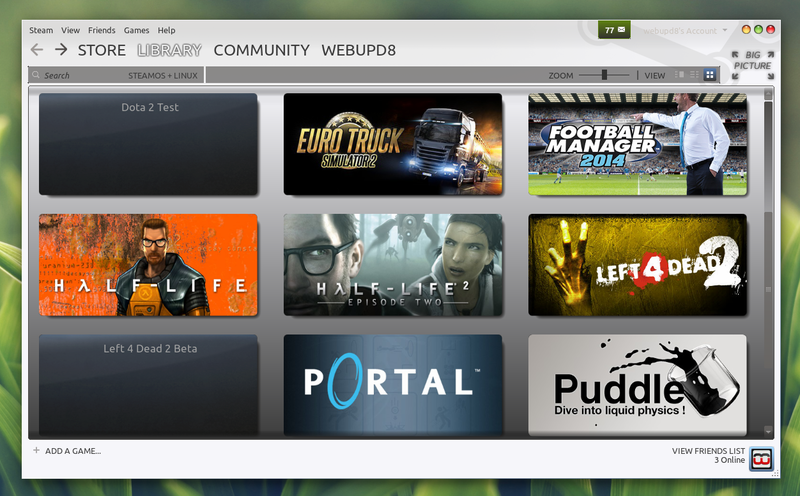 Using custom themes requires a bit more work and I won't post instructions on how to do that here - instead, see the Steam Skin Manager homepage (look under "Developers") for that. 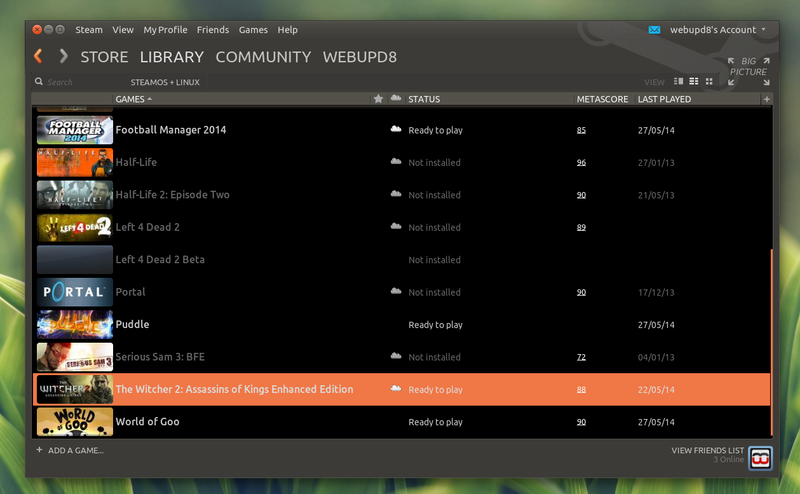 If you don't use Ubuntu / Linux Mint, you can download Steam Skin Manager from HERE (binaries and source available).